Our Goal is a Supply of quality work . Give me a Chance to prove my ability , to complete your project at a fair Price within time deadlines . 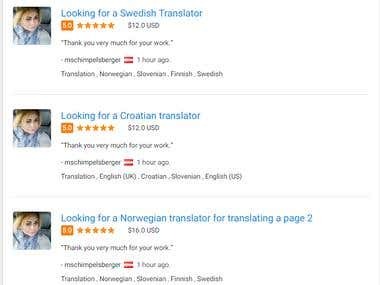 A Request for Proposal DOCUMENT TRANSLATION SERVICES is an important part of the process in determining the translation requirements of your company, and evaluating how well a particular translation vendor will work for you. We provide technical, legal, marketing, website, medical, financial and personal document translation services, along with much more. 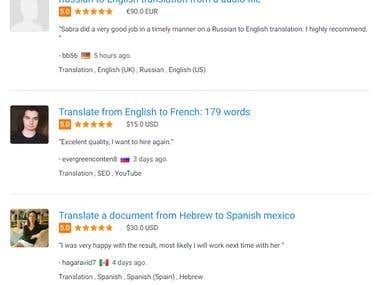 Professional linguists and highly experienced translators complete our document translation services. 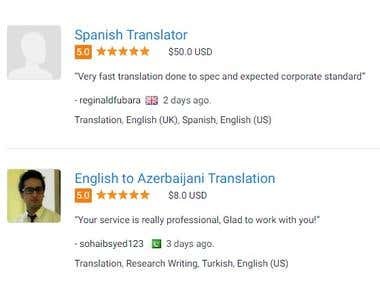 Our translators are proficient in localizing translations and translating into and from their mother tongue. We are therefore proud to be able to offer accurate and professional document translation services to our clients. DOCUMENT TRANSLATION SERVICES is not just a translation agency, but truly understands our business and collaborates with us. 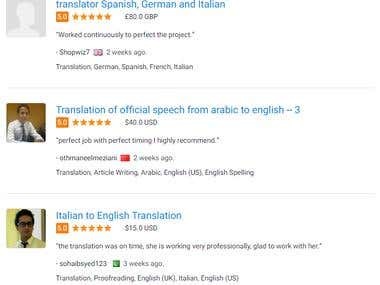 We are a team of qualified and responsible people who speak more than 70 languages as their mother [login to view URL] tasks mainly include translations, transcriptions, voice-over and proofreading. 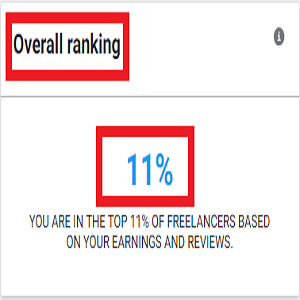 Also writing articles and blogs, writing and rewriting [login to view URL] are very interested in taking care of your project. High quality, flawless and perfectly formatted work is [login to view URL] is our desire to offer you our best at affordable and affordable prices.